Not around much these days. 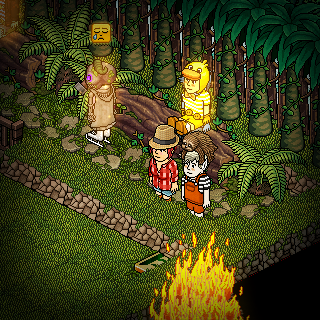 I got caked at HabboBites 3rd Birthday! The wonderful world of Habbobite brings you the amazing Banzai Fridge Races! Full badge guide over at Habbobites. I'm a part of the HabboBites.com staff team! Join us today! You can't accept me as who i am. You can't be in my life. Please move on. "You changed." is the most hated word to hear from friends. Things are temporary, we don't stay the same forever. Either you accept changes like real friends would do or get lost. Grab your berries and escape!!! HBC fansite events - join our community at HabboCreate.com ! 100c free run! Good Luck! Habbobites.com for the full guide to this badge event! Welcome to a HabboBites Event! Sign up at HabboBites and get involved in our community! Taken in this room on 10 October 2017 and received 1 likes. Taken in this room on 24 April 2017 and received 0 likes. Taken in this room on 17 April 2017 and received 1 likes. Taken in this room on 7 April 2017 and received 1 likes. Taken in this room on 7 April 2017 and received 0 likes.